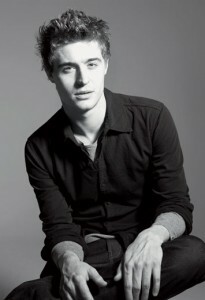 Max Irons, son of Jeremy Irons and Sinéad Cusack was recently featured in Elle Magazine Online. He is dubbed as Hollywood’s next Prince Charming and the next Robert Pattison. Click on the photo below to read the articles about Max and his upcoming role in Catherine Hardwicke’s Red Riding Hood, in which he stars alongside Amanda Seyfried. I heard Max was expelled from boarding school in England. Does anyone know which school it was?